Gourmet pizza & gourmet wine is all we could ever ask for. 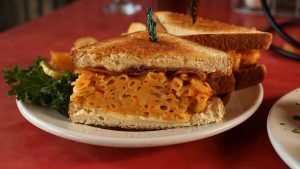 Located at 346 Shrewsbury Street, Vintage Grille offers a cozy environment, friendly staff and has a menu to die for. Phantom Gourmet has even stopped in so you know it’s great! 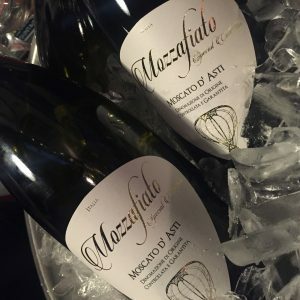 We headed over on Wednesday night to promote our newest wine, Mozzafiato Moscato d’Asti. Slightly sparkling, delicate and aromatic with sweet, fruity, and distinct flavors of apricot, honey, peach and mango, this wine pairs excellently with almost anything on their menu. 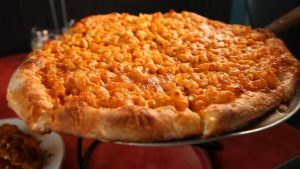 ESPECIALLY the Mac and Cheese Pizza. You should probably add buffalo chicken to that too because YOLO. Botter Merlot – Elegant & well balanced with a clean bouquet. Notes of violets and red fruits. 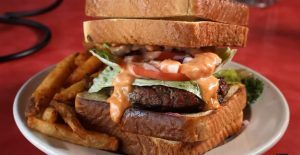 Try it with the “Bumper to Bumper Burger” which is literally a burger between two grilled cheese sandwiches. You might need a few glasses to finish the whole thing! Cedar Springs Cabernet – Dark black cherry color. Aromas of fig, blueberry & jam with hints of vanilla. Try the “Tire Iron Blackened Steak Salad” with a glass of the Cab. Fried onions, roasted red peppers, bacon, steak and creamy homemade blue cheese dressing. You’ll almost forget it’s a salad! Divin Nectar Pinot Noir – Well balanced with aromas of raspberry and cherry with subtle smoky/peppery hints. Have a glass and get the “Muscle Car Mac and Cheese Bites” and don’t share with anyone. Pure bliss. 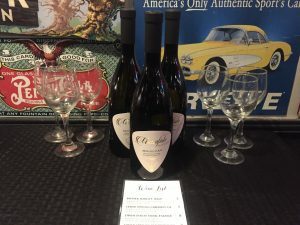 Cedar Springs Chardonnay – Unoaked, refreshing and invigorating with lovely hints of ripe melon and pear. 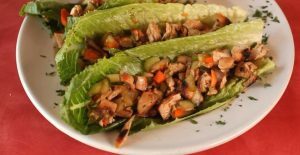 Try a glass of this California chardonnay with their “V-6” lettuce wraps containing chicken, onions, cucumbers, garlic, ginger and soy sauce. Very refreshing! Manu Sauvignon Blanc – Powerfully flavored with hints of grapefruit & tomato leaves. Order the “Chicken Fenders” and some fries. Simple, yet amazing. 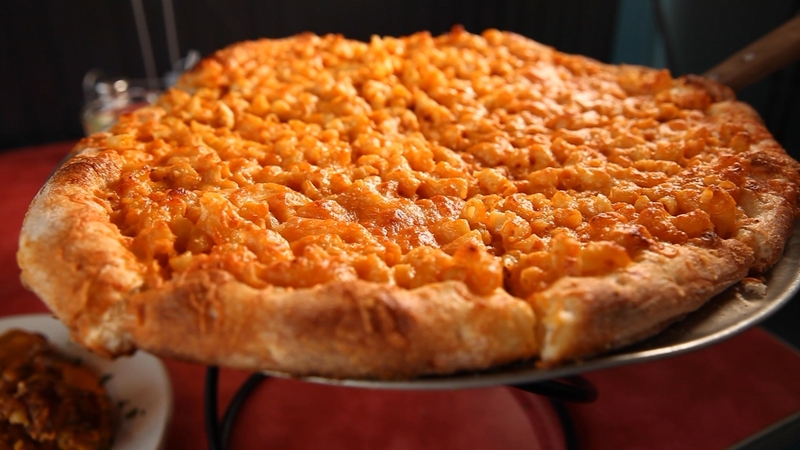 I’m sure you’re drooling by now and have a severe craving for mac and cheese. Also, this restaurant offers $5 burgers on Wednesdays. Done and done. Make sure to check it out and try a glass of the new Moscato d’Asti or one of their local beers on draft. This entry was posted in Bar and tagged burgers, foodie, mac and cheese, moscato, Phantom Gourmet, pizza, vintage grille, Wine, Worcester. Bookmark the permalink.